This Video Note: ------------------------- Hello, this video I tried to teach you how to make bokeh effect or 3DX Max and using the v-ray physical camera it's a simple method and you can follow easily few simple step. First you want to set a very physical camera then go to Verizon thinks and find f-number then change it to 1.5 then scroll down check the box specify focus and you can adjust the below the value then go to shutter speed set 1000 and higher so below 10 then you can find bokeh effect check the box blend gold brand well you should be 3 to 7 then sampling check the box called depth of field then you can find what are the light setup and also best camera position then you can hit render thanks for watching this video if you like the video leave a thumbs up and subscribe and you can go to my website called www.parcintro.com download the setup thanks thank you for watching have a nice day Background Knowledge The depth of Field (also known as DOF) is the effect of your foreground being in focus, while your background is blurred (or out of focus) or vice versa (the other way around). Before we begin with the tutorial, however, we need to talk a little about some of the VrayPhysicalCamera properties and how they relate to a real camera : The film gate is the part of the camera behind the shutter that catches the light and determines the final Aspect Ratio of the image. This works the same way on real-life cameras as it does with the VrayPhysicalCamera. The focal length is the range between the front of the lens to the place where the camera is focused, which can make the camera have a bigger viewing range or smaller viewing range. If you want the viewing range to be bigger then make that number smaller, and vice versa. Again this works the same way on both real life cameras and the VrayPhysicalCamera. The zoom factor, as you can probably guess, is the zoom of the camera. The f-number basically describes the iris of the camera; the lower the value, the more open the camerasiris will be, which in turn creates a more blurred background. This works the same way on both real life cameras and the VrayPhysicalCamera. The shutter speed is a camera's exposure time - the length of time that the shutter is open. It affects the motion blur in that the lower the shutter speed, the longer the streaks of the blur there will be and vice versa. This works the same way on both real life cameras and the VrayPhysicalCamera. The ISO or film speed is the camera's sensitivity to light. The higher the value, the more sensitive the camera is, making the images/renders brighter, and vice versa. This works the same way on both real life cameras and the VrayPhysicalCamera. So as you can see, the VrayPhysicalCamera is identical to a real camera in a lot of ways. Now that you have learned a little about the different camera settings, let's put it into action! Before we begin, we need to make sure that we change our renderer to V-ray. Bring up the Render Setup window, go to the Common tab, and then scroll down to the bottom where it says Assign Renderer. Click the button to the right of the Production line and choose V-ray in the dialog box that pops up. Click Ok. In order to test the DOF, we need to put together a test scene. Head to the Create panel, select Geometry, and place a few boxes a little like I've done in the image below. Next, click on the Camera button in the Create panel, click the Standard roll-down menu, click V-ray, and then create a VrayPhysicalCamera. Once created, move it into position as a show, making sure that it's aimed at your objects, and that the target is where you want your focus to be. Next, we are going to go in and change the settings on your camera. Select the camera, and go to Modify. Here we will set the F-Number to 1, the Shutter Speed to 1000, and then check the box that says Specify focus, which allows us greater control over the focal plane of the camera. Change the Focus Distance value until the blue grids in the top viewport are in the section you want to focus on. Then go down to the Sampling parameter and check the box next to Depth of Field, setting the Subdivs to 15. TIP: Changing the Subdivs will make the depth of field effect smoother. The higher the number, the smoother it will be, but the longer it will take to render. 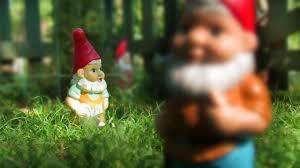 TIP 2: The smaller you make the scene, the blurrier the depth of field will be, as shown in the image below. If your scene is far too big you might have trouble getting the depth of field effect at all. In essence, always try to scale your scene realistically. Make your left viewport the camera-view by clicking Left > Cameras > VrayPhysicalCamera01. Now adjust the position of the camera using the other viewports until you get something you like! To create a Rack Focus effect (changing the focus point from one object in your scene to another over time), you can animate the Focus Distance parameter in the camera settings. Click Auto Key to create the first key for the value, and then move the timeline to frame 60 (2 seconds at 30fps) and change the value of the Focus Distance until the grids are where you want the camera to focus on at the end of the move. Now make sure to turn off Auto Key so you don't accidentally animate any more values! Now make a Vraylight in the top viewport by clicking Create > Lights >Vray and then choosing Vraylight. Make it as big as your scene. Then, in the camera viewport, click the VrayPhysicalCamera text and turn on Show Safe Frames. Move the light up on the Z axis in the front view until it sits right above our scene as shown. With our focal distance set and our VRayLight in place, we'll now cover how to make bokeh effects in your final render. To do this, we're first going to need to create a few more lights in our scene. I added in four small VrayLights, stacked on top of each other, as shown below. Blades - If checked, the shape of the aperture (and therefore the shape of the bokeh itself) is polygonal, with the number of sides depending on the number of blades. If this is not checked, the aperture shape will be circular, as will the bokeh. Rotation - If Blades is checked on, this controls the rotation of that polygonal shape. Now let's take a look at the anisotropy setting. Anisotropy basically distorts the bokeh shape either horizontally (if you input a positive value) or vertically (if you use a negative value) as shown below. You're now ready to render! For more efficient results, you can change the Image Sampler in the Render Settings to Adaptive DMC, which gets us slightly better-looking DOF in the scene.